If you are not a frequent user of iCloud you might not understand the point of using iCloud to view your iMessages on a PC or a MacBook. Most of us think that iCloud can be used to store contacts and images but it offers something more than this. Want to use a PC to view iMessages? You must be thinking how to do that which can be really helpful for people. In case if you lose your phone or if your phone begins to malfunction and you cannot access the messages, this is the time when iCloud comes in to save the day. There are important messages and conversations in one’s phone and losing these messages can be a tremendous loss for many. Once upon a time, this situation was something to be very worried about but now it is just a minor inconvenience that has a perfect solution to it. iCloud serves as the best solution to this problem and allows people to view their iMessages of their phones on their MacBook and even on PCs. Now you can now view iMessages on iCloud. Part 1: Can I View iMessages from iCloud on PC/Mac? Viewing iMessages from iCloud is not as simple as viewing the photos and contacts from iCloud on PC or Mac. One can directly follow a path to view photos, notes, reminders and contacts but unfortunately, there is no direct path provided by Apple to view iMessages on iCloud. 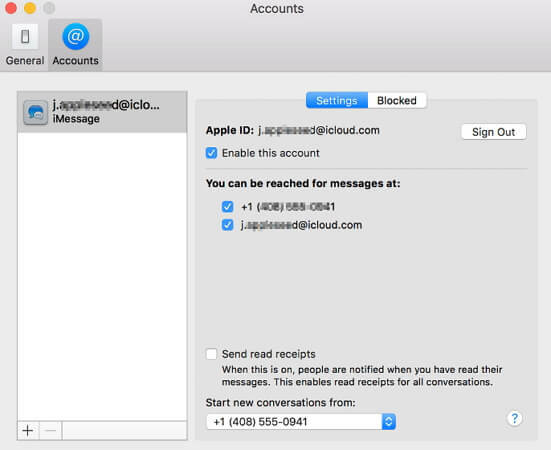 Even though the iMessages are present on iCloud and Apple’s server, but there is no direct path provided using which a user can quickly view them on iCloud. 1How to View iMessages on Mac? So, what is the solution to this - how to view iMessages on iCloud on Mac? The procedure to view iMessages on Mac is simple. 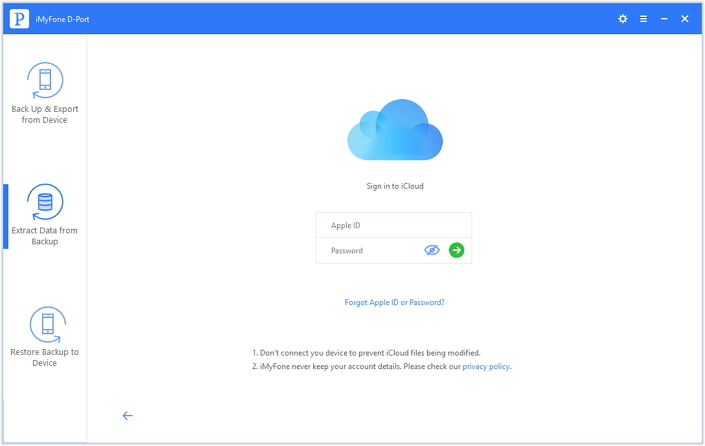 There is an Apple ID for every iPhone user and if this Apple ID is used to sign-in into Mac you can easily view your text messages or iMessages on this device. Moreover, the iPhone messages will be synced to the Mac automatically if the users have enabled messages on their iOS 10.4 devices. 2How to View Messages on PC? 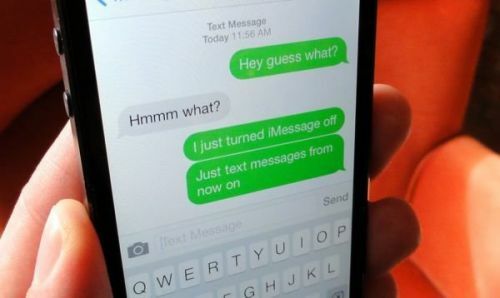 There is a different procedure to be able to view text messages and iMessages on a PC. Well, using an iPhone backup extractor, this becomes easier and more convenient. Using this type of extractor, you can extract your text messages or iMessages stored on iCloud backup and view them when your phone is malfunctioning. 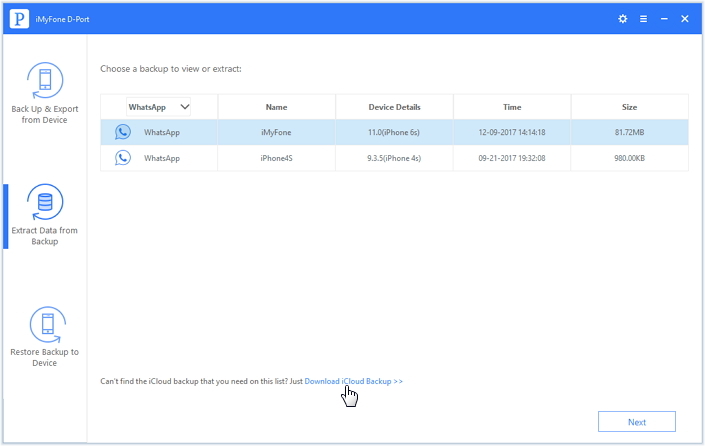 If you are thinking about why you need go the extra mile for viewing text messages on PC, you will understand here that there are numerous advantages of using this technique to view iMessages from iCloud with a professional iCloud backup extractor. As discussed, an iCloud backup can be used to view the iMessages when it has been restored to your device. After restoring the data, the data present currently on your phone has to be replaced. So before restoring without knowing the content, you’d better rely on a solution to this which is a professional iCloud backup extractor. Selectively restore device from iTunes/iCloud/iMyFone backup. Launch iMyFone D-Port on your computer and choose Extract Data from Backup to start. Check the backup file list. If there is no iCloud you want, just go to “Download iCloud Backup”. Sign in to your Apple ID and password to load all the backup files under this account. Choose the most relevant one. Select the message data type to extract and click on next. After the scanning, you will be able to view the details in the backup and then tap Extract to save the selected ones to your computer. You can view the iMessages as you want. With iOS 11.4, Apple users are allowed to store text messages and iMessages to iCloud. 1. For iOS devices, open Settings -> tap on your name -> iCloud -> slide the switch next to Messages to the On potion. Repeat the process on each device you want to keep in sync. 2. On a Mac, open the Messages app and go to Messages -> Preferences -> select your iCloud account and check the box titled Enable Messages in iCloud. When you use Messages in iCloud, your content is automatically stored in iCloud. That means they're not included in your iCloud Backup. So before restoring your iCloud backup, it is very crucial to view the content in it. Here we have introduced innovative methods to view your iMessages on the iCloud backup. 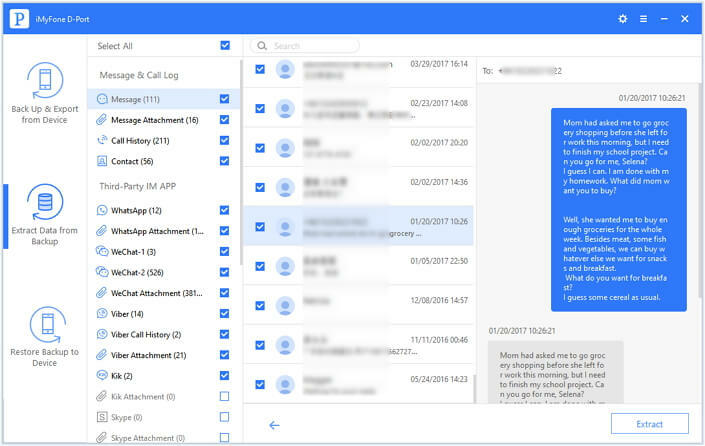 This software has addresses the problems that occur when viewing iMessages on PC or Mac, and it deals with them accordingly. You can follow the given measurements in a systematic manner to achieve best outcomes regarding your concern to view iMessages from iCloud on PC/Mac.